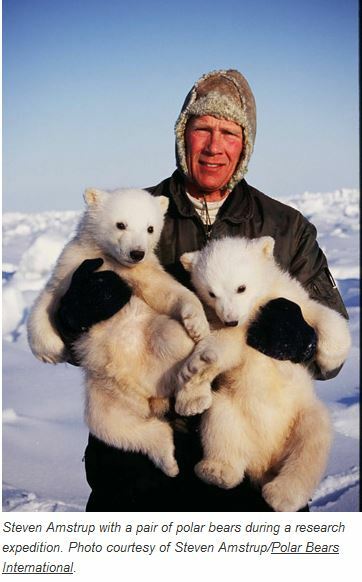 Yesterday, the BBC published a story that gave the two most alarmist polar bear researchers on the planet a forum to market their ‘polar bears are doomed’ message. This time the desperation shows: watch how these biologists move the goal-posts, make claims so misleading they border on lies, and pretend they don’t have big, big trouble with their predictive models. Amstrup photo that accompanied an interview last month. 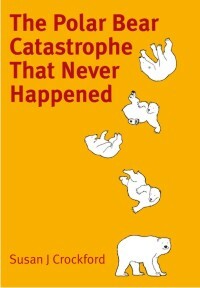 Today I’ll discuss the response by Polar Bears International representative Steven Amstrup to a comment submitted during their recent “webchat” at The Guardian (Wednesday, November 6), which had to do with the fact that polar bears survived warm periods in the geological past, particularly interglacials. 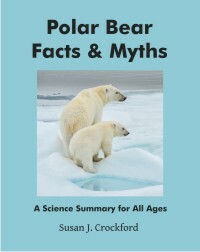 There was a paper in Science magazine last year (link …) indicating that polar bears became a distinct species about 600kya (+/- 300k years). 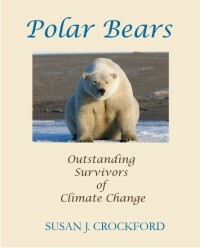 Amstrup tries to convince Mark and other readers that polar bear resilience through Eemian warming is irrelevant to the issue of future survival, which I’ll demonstrate is not the case at all.